For many small business owners, accounting isn’t the most exciting part of running your business. However, having a good grasp of the fundamentals is essential to keeping your business afloat. In this post, we’re tackling the accounts receivable process — why it matters and how to improve it. What is the accounts receivable process and why is it important? Accounts receivable (AR) is money owed to your business by customers, so the AR process is all about collecting this money. It includes steps such as sending invoices, checking if they’ve been paid, and following up on late payments. Your AR process is closely related to your cash flow — the money moving in and out of your business. Simply making sales isn’t enough; you need cash in the bank! 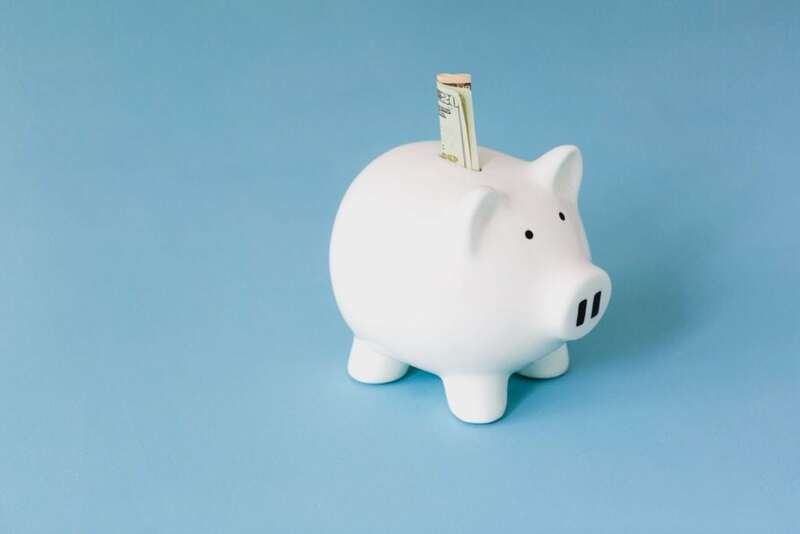 If you don’t bring in enough money from sales to cover your expenses, you may end up in financial trouble. That’s why creating an effective AR process is essential for all small businesses. How can you improve your accounts receivable process? If you already use QuickBooks for accounting and you’re struggling to manage AR, a QuickBooks-integrated CRM may be the solution. By bringing customer and financial data together, you’ll gain a new perspective and can work more efficiently. You’ll also gain access to features not found in QuickBooks. Here are some tips to improve your accounts receivable process. Before you can receive payment, you have to ask for it. Kickstart the AR process by making invoicing go as smoothly as possible. Unfortunately, 64% of small businesses are affected by late payments. This means if you leave all your invoicing to the end of the month, you’ll be waiting well into the next month to get paid. Instead, schedule a block of time each week for invoicing, or send out invoices as soon as jobs are complete. If you’re often on the go, Method:CRM’s mobile app lets you create invoices anytime without needing access to QuickBooks. Starting each invoice from scratch is a surefire way to drag out the process and introduce errors. 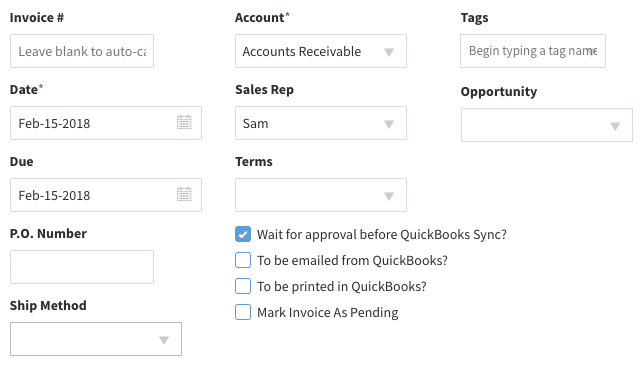 Take advantage of the features in your QuickBooks CRM to make invoicing more efficient. Estimates can be automatically converted to invoices with the click of a button. Or, create an unlimited number of custom invoice templates for different types of orders and customers. Customers have a lot of reasons for making late payments — but don’t let not receiving an invoice be one of them. Make sure your team has access to your CRM so they can keep customer billing information up-to-date. In Method:CRM, all contacts linked to a customer receive billing emails unless you opt a contact out. We all know that people tend to put off difficult or frustrating tasks. Increase your chances of receiving payment on time by making the payment process as simple as possible. Whether you email invoices directly from QuickBooks or a QuickBooks-integrated CRM, electronic invoicing gets the balance in front of your customers sooner than snail mail. And if the email includes links to online payment options, it’s almost too easy for customers to pay you right away. Some customers may like paying by cheque, while others may prefer using debit, credit cards, or online payment gateways like PayPal. By offering a variety of payment options, you’ll maximize convenience for your customers and increase your chances of prompt payment. Empower your customers to pay when it’s convenient for them, without needing to contact you during business hours. Method:CRM’s built-in portals give customers 24/7 access to their invoices, while setting up a payment gateway lets them make online payments. Better yet, payments made through the portal sync to QuickBooks automatically, so you have money in the bank sooner. To keep cash flowing into your business, you need a well-oiled system for chasing missed payments. With any luck, attentive follow-up will train tardy customers to pay on time in the future. It doesn’t look good to follow up on a paid invoice. Stay organized by applying payments to invoices as soon as you receive them. If you’re hesitant about giving your team access to QuickBooks, implementing a QuickBooks CRM is a great alternative. 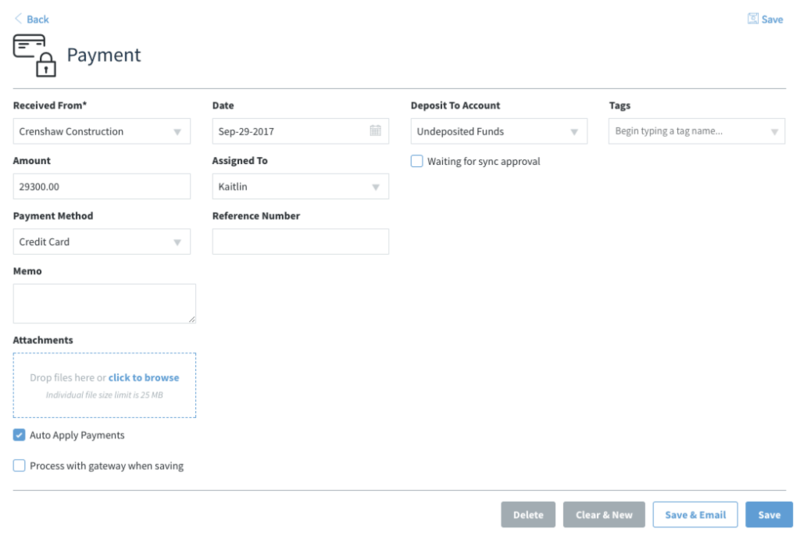 Not only can your team process payments right in the CRM, but the payments automatically sync to your QuickBooks file. The older an invoice is, the less likely it is that you’ll ever see payment. That’s why it’s essential to monitor the age of each invoice and act as soon as the due date passes. Use the “overdue invoices” view filter in your Method:CRM invoices app to easily identify which invoices are unpaid. Maximize efficiency when chasing late payments by having a plan for what steps you’ll take. These could include follow-up emails or phone calls, charging late fees, or even bringing in debt collectors. Whichever measures you choose, ensure your team is aware of how and when to execute them. 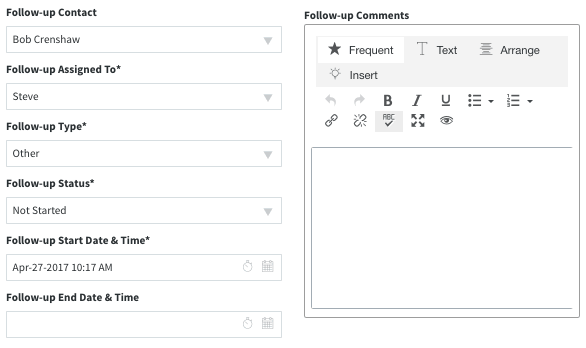 Assign activities to team members in Method:CRM, or create shared email templates for key follow-up messages. If you’re having trouble managing your accounts receivable process in QuickBooks, why not try a QuickBooks CRM? All of the features described above are included in a Method:CRM subscription, so you can start getting paid faster. Sign up for your free trial of Method today!